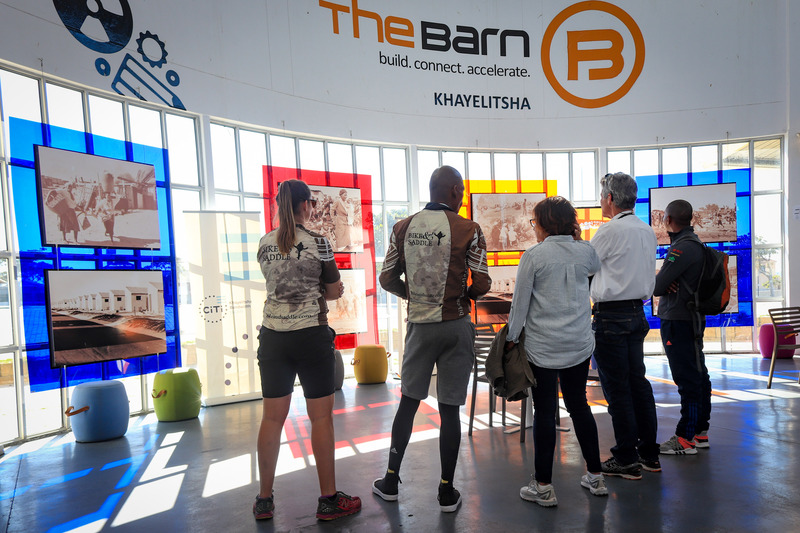 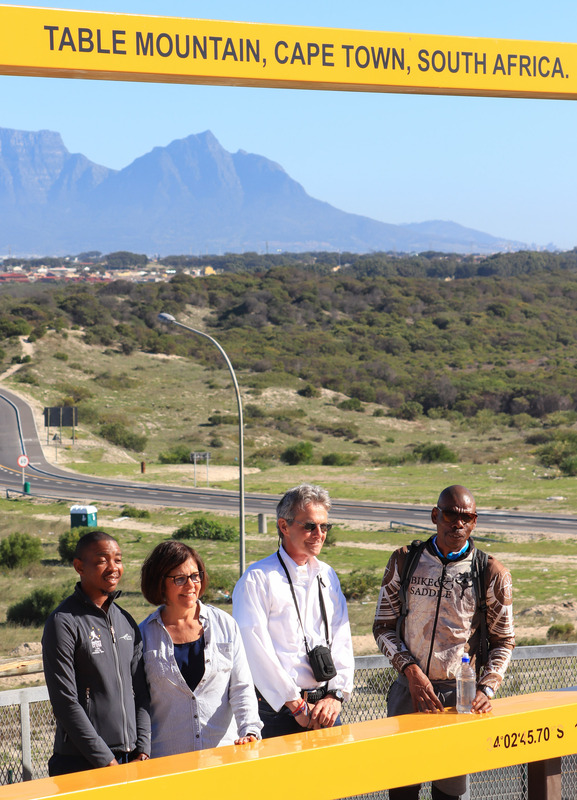 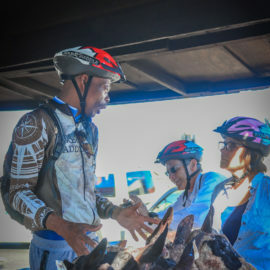 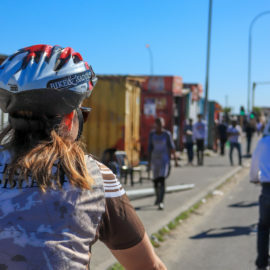 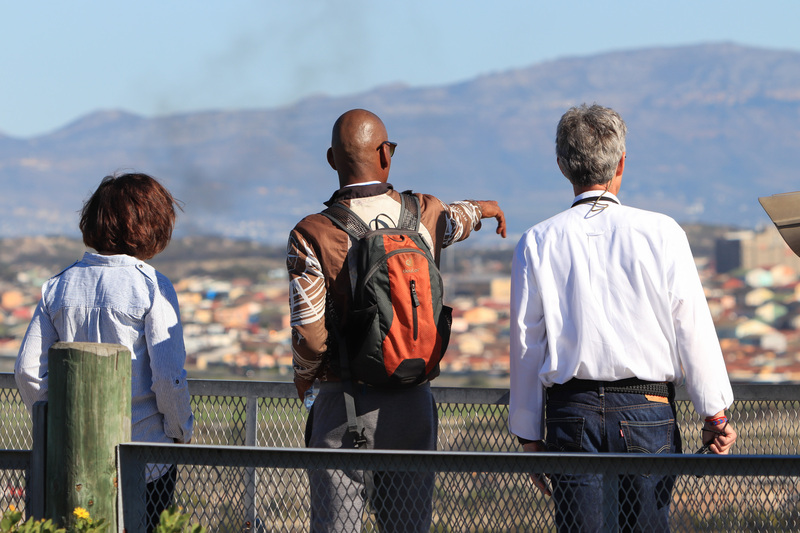 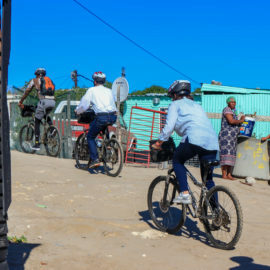 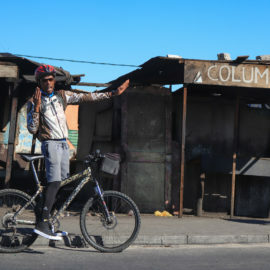 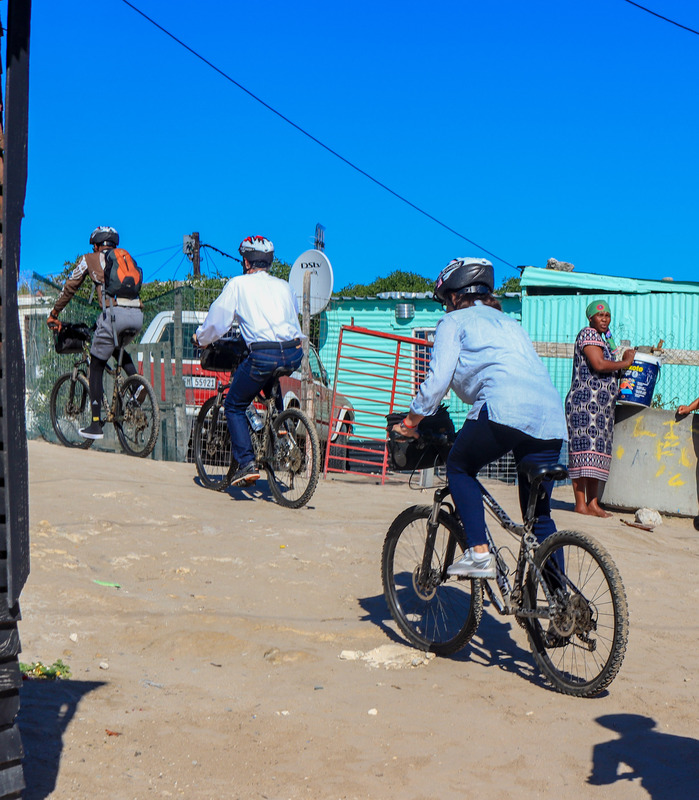 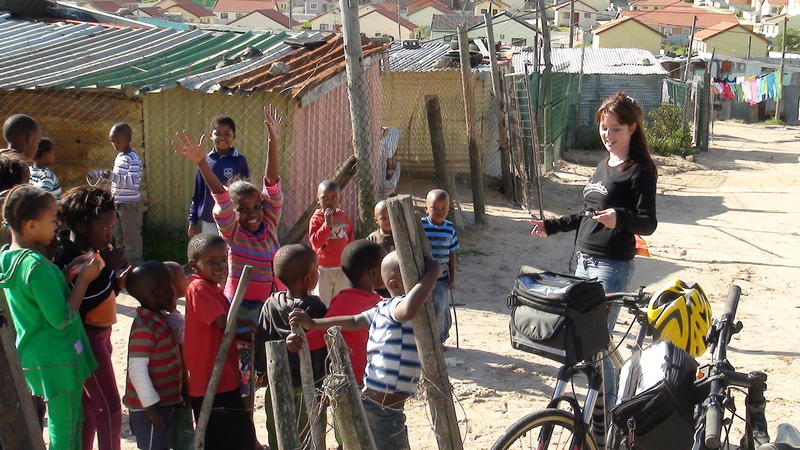 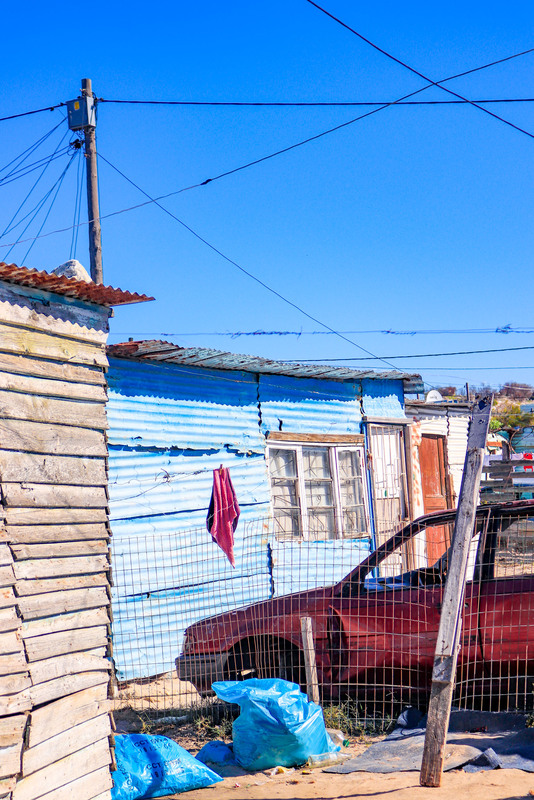 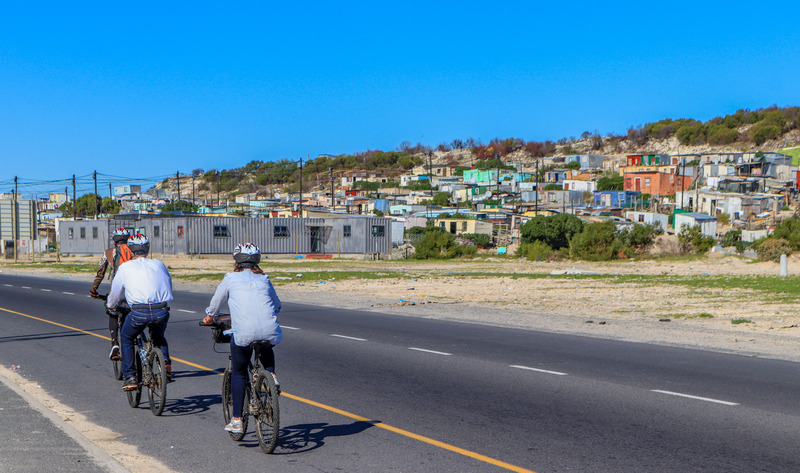 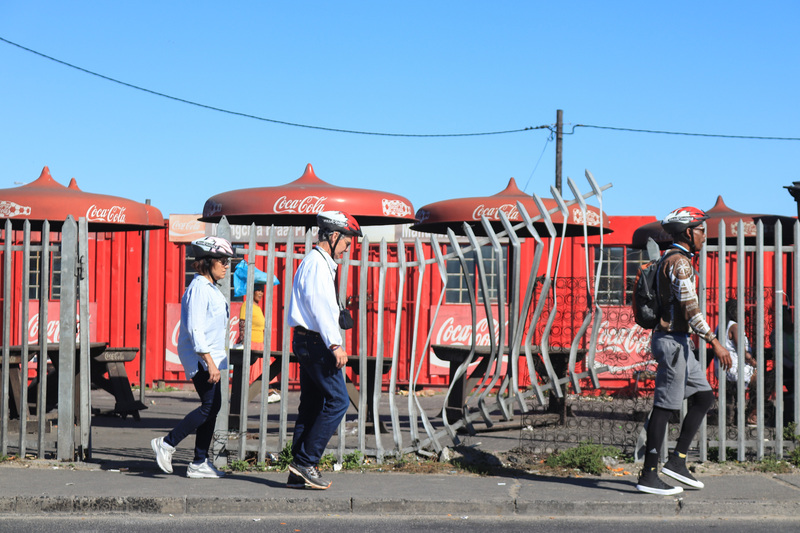 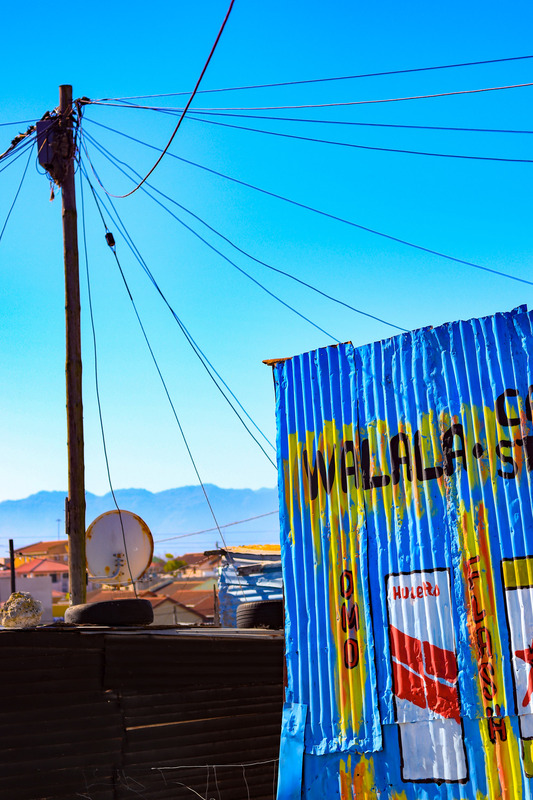 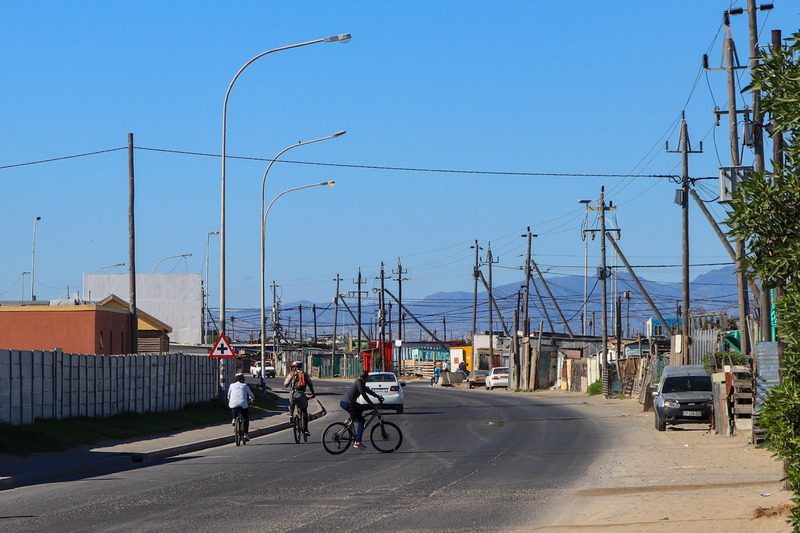 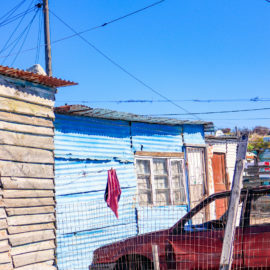 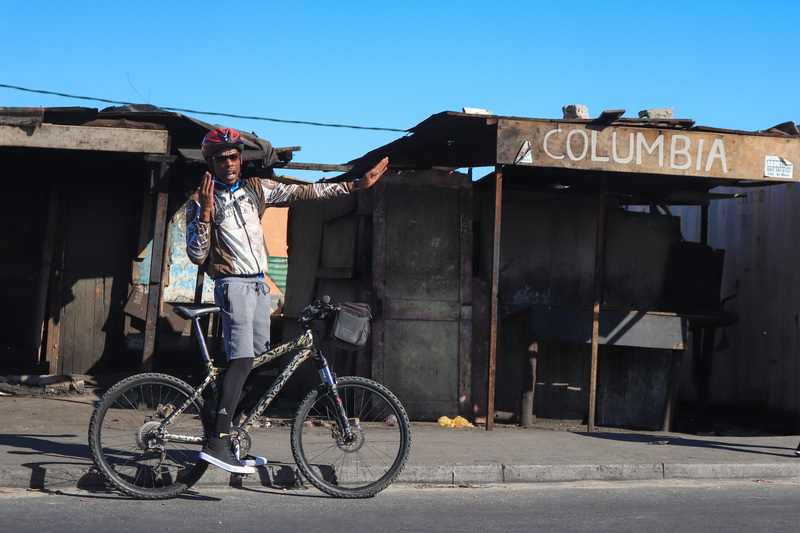 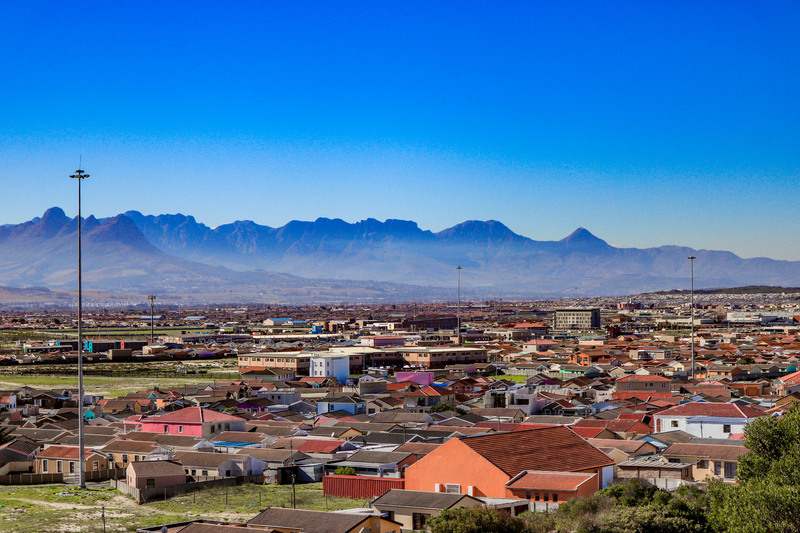 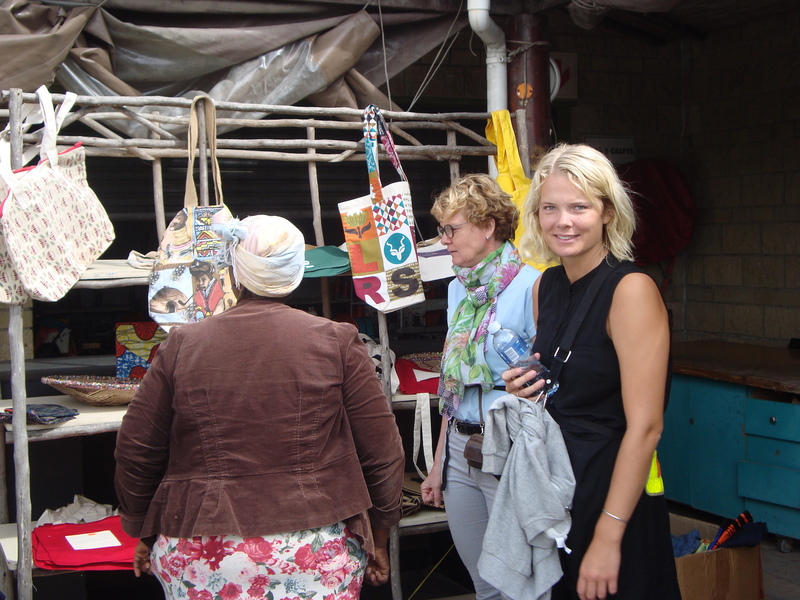 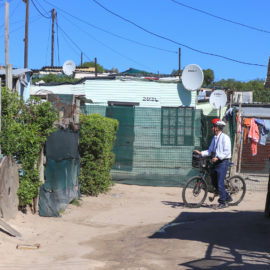 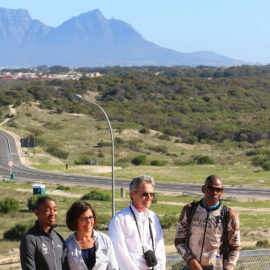 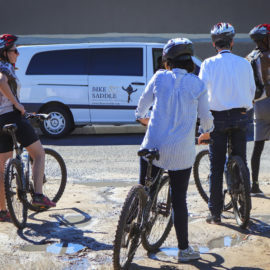 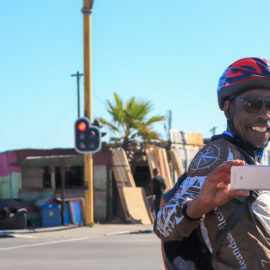 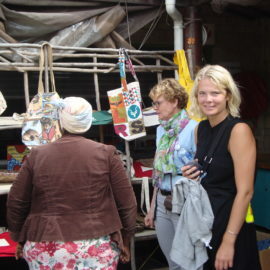 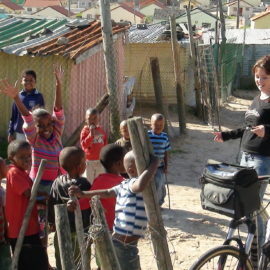 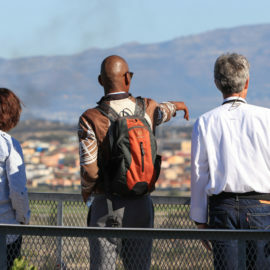 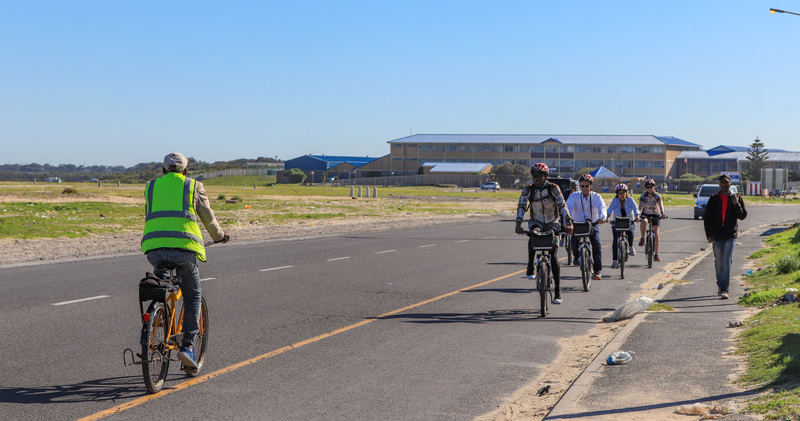 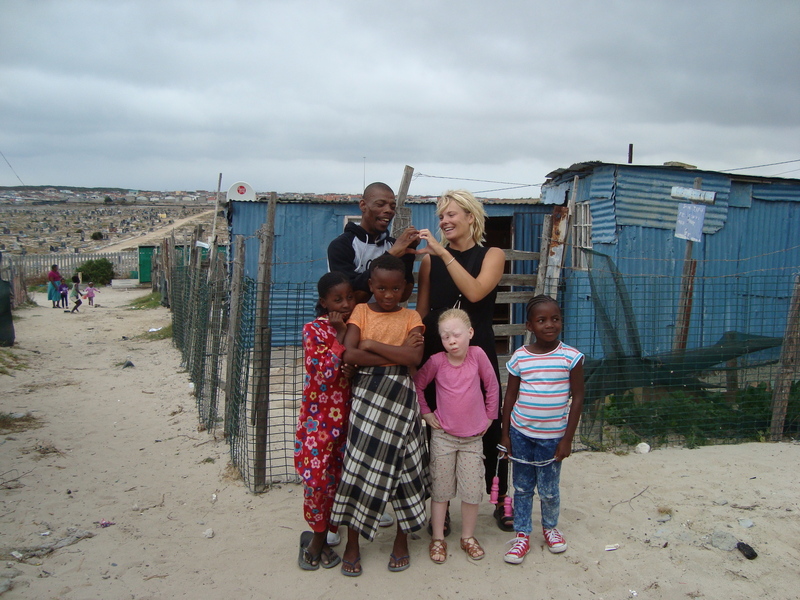 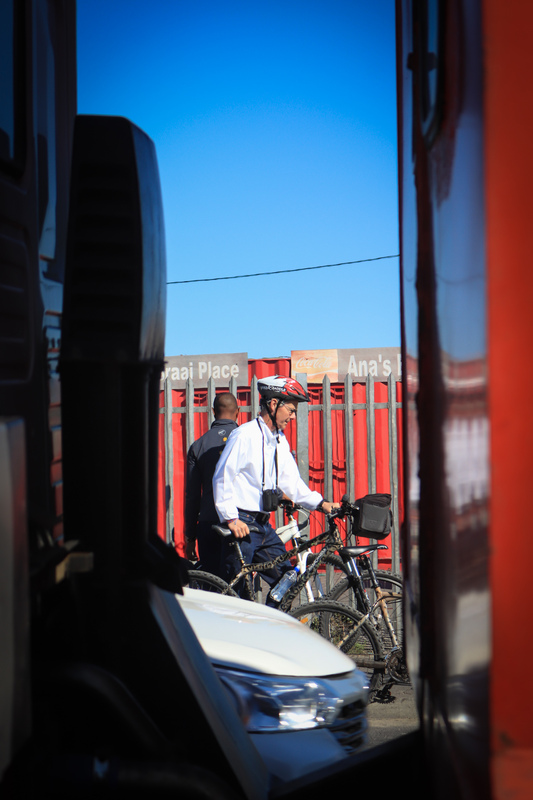 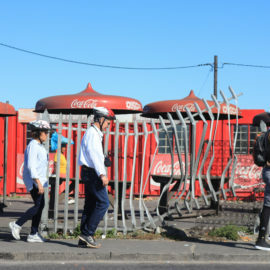 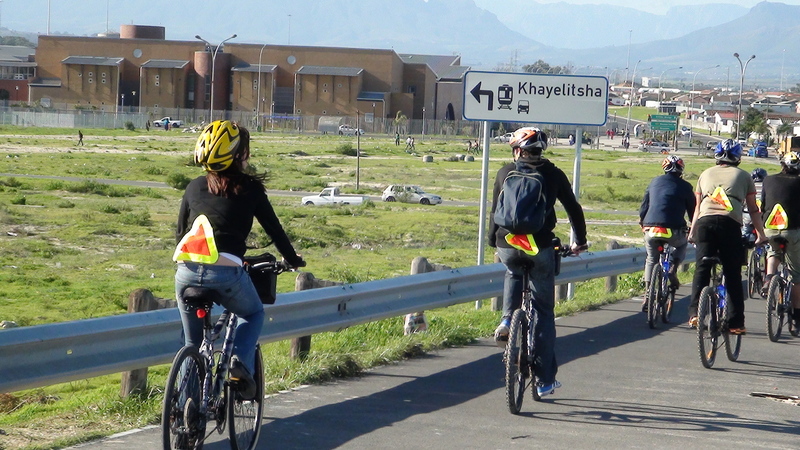 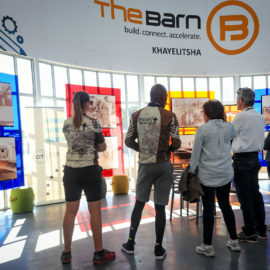 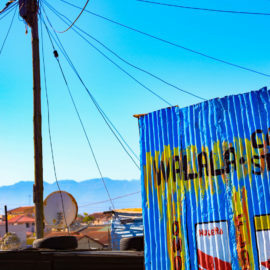 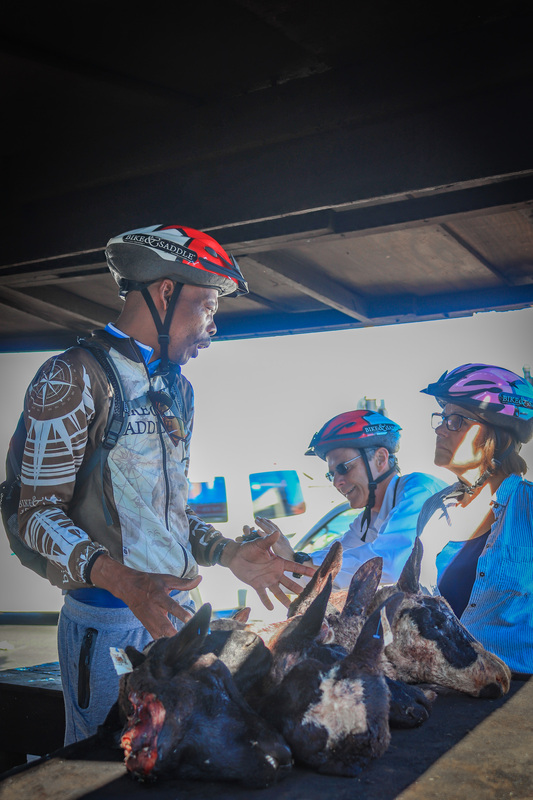 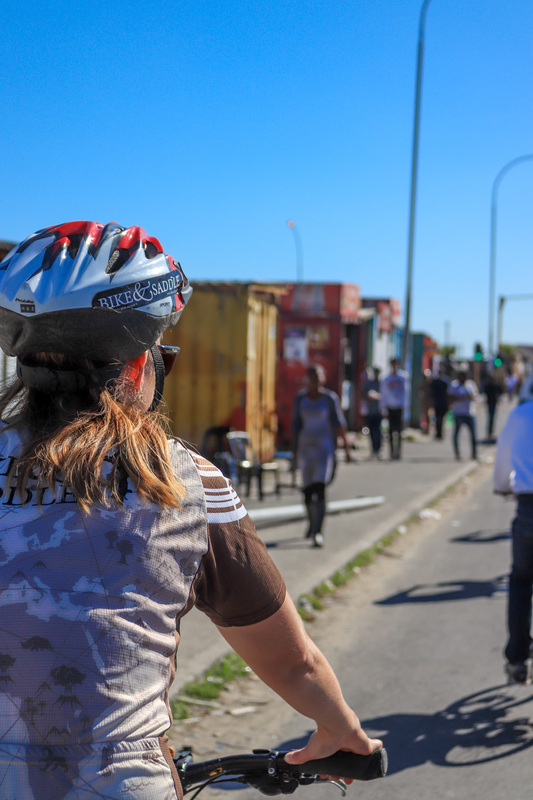 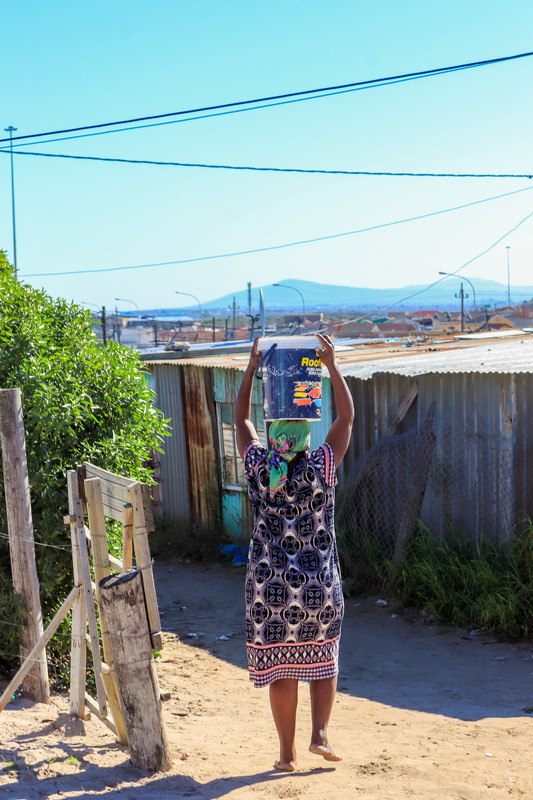 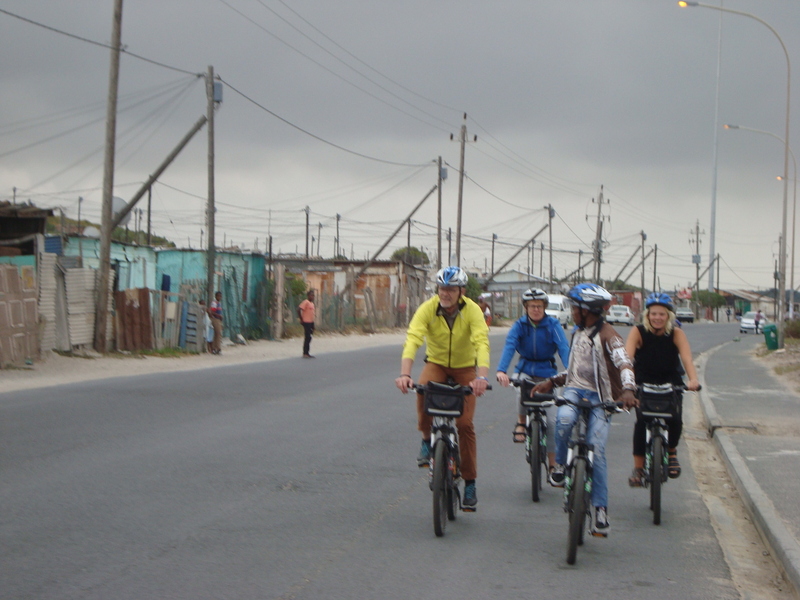 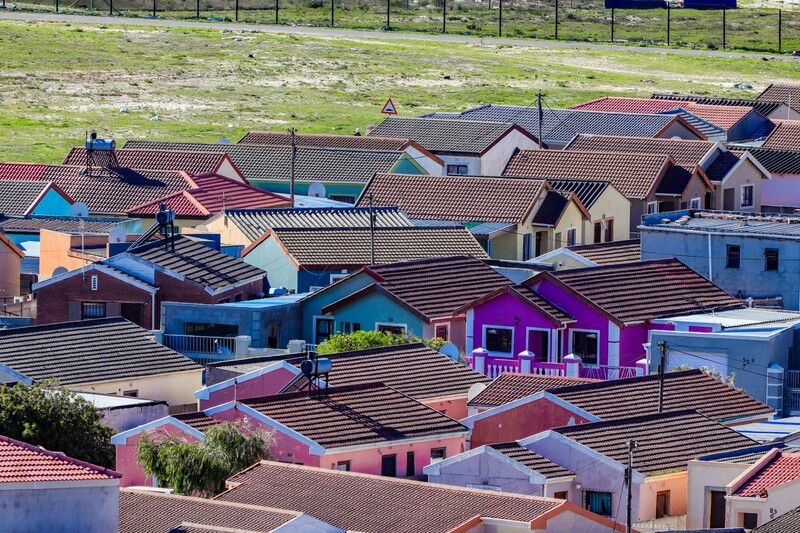 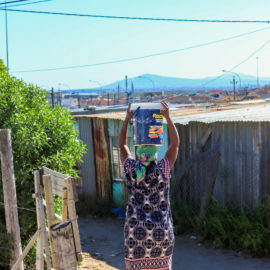 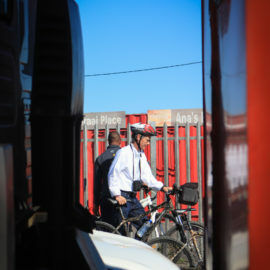 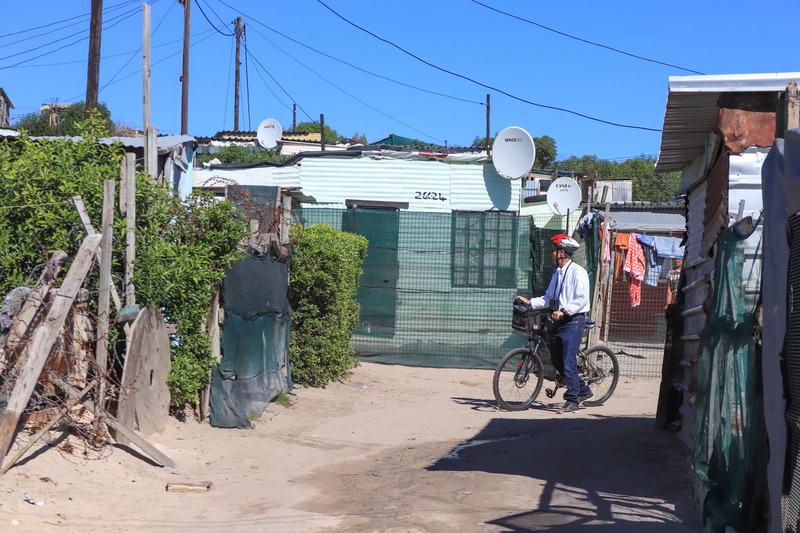 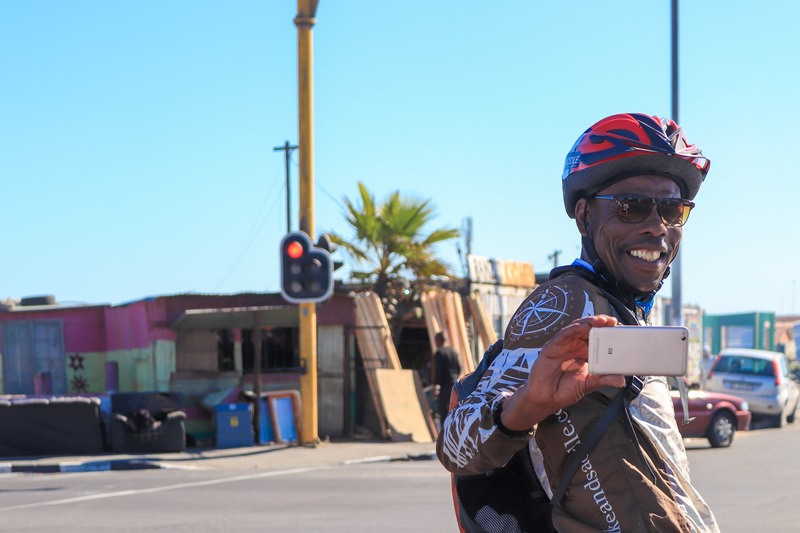 Discover Khayelitsha Township through the eyes of our local trip leaders. 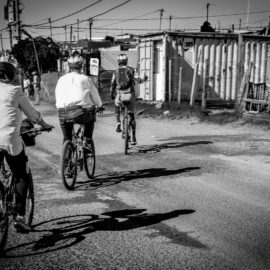 A tremendously positive half-day experience, hosted by a local community having to deal with the challenges of a post-apartheid South Africa, including the struggle to overcome past injustices. 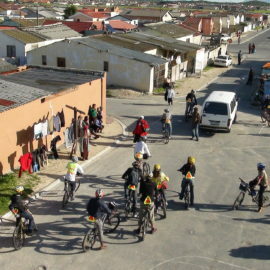 Learn about the daily lives of people from many different origins who have made the township their home. 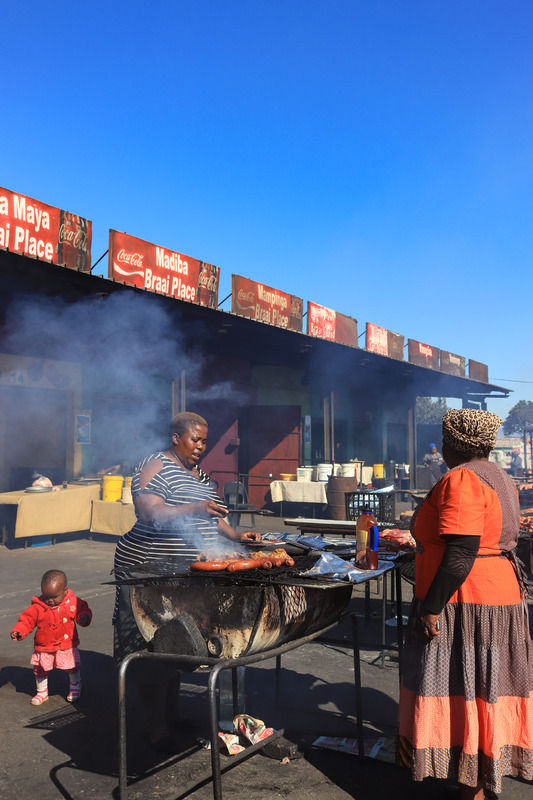 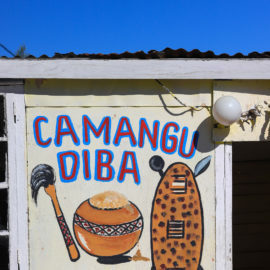 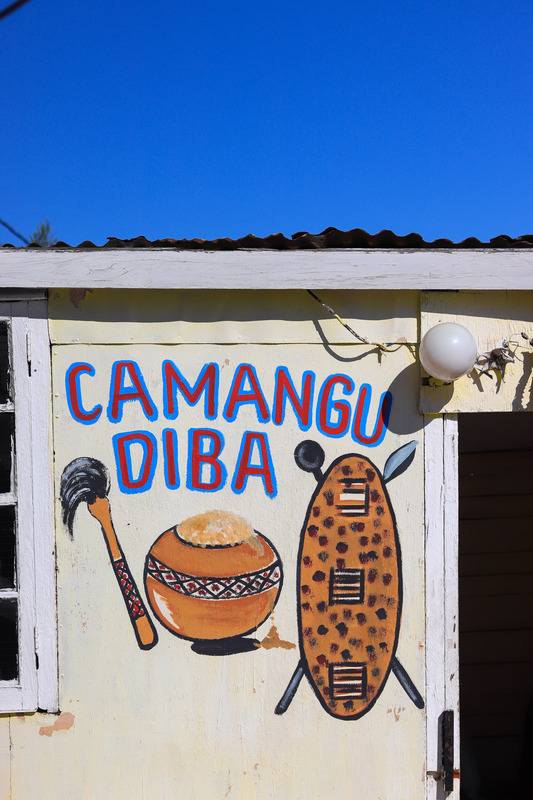 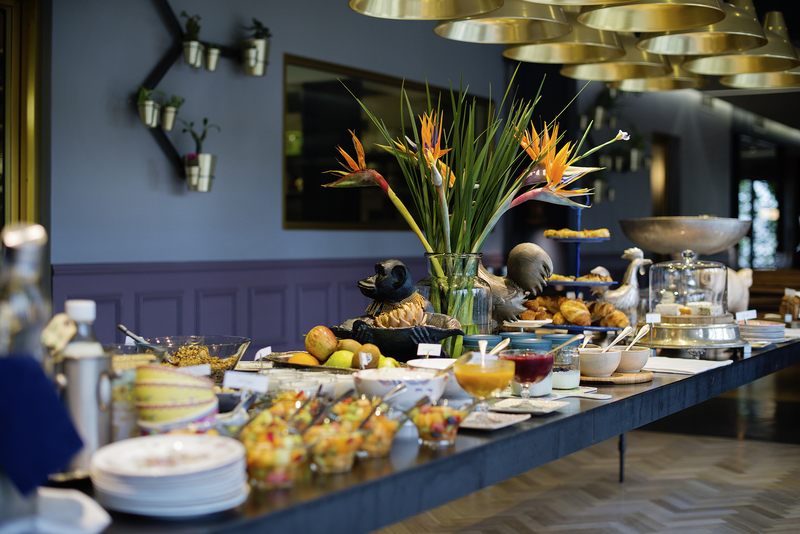 Let your taste buds enjoy South Africa’s local food and even take a trip to the local Sangoma! 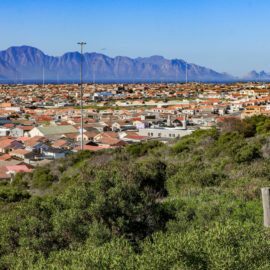 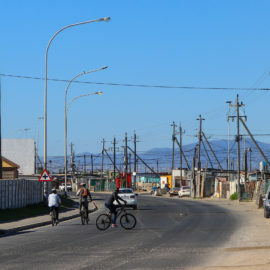 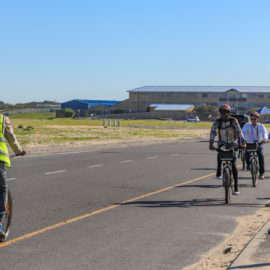 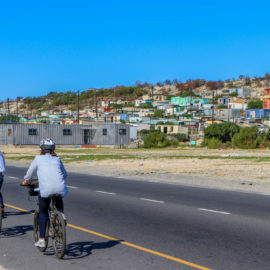 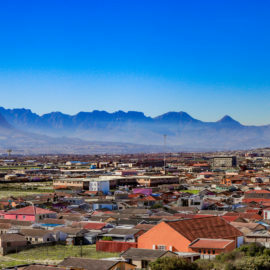 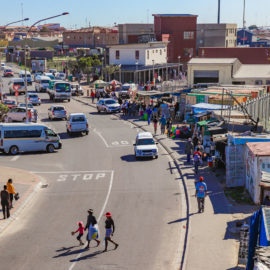 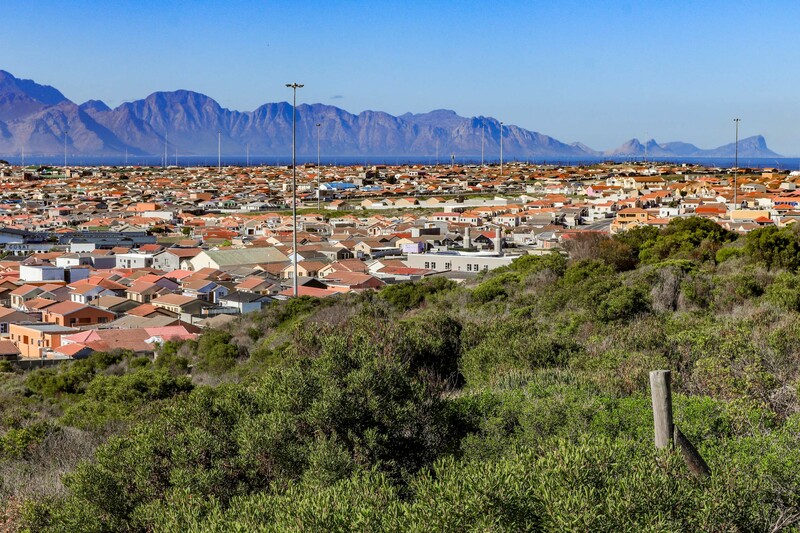 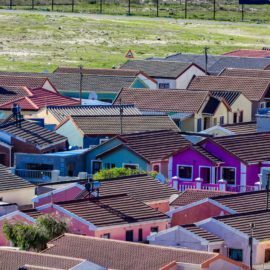 With an estimated 1.5 million inhabitants, Khayelitsha is one of South Africa’s largest townships and means ‘New Home’ in the Xhosa language. 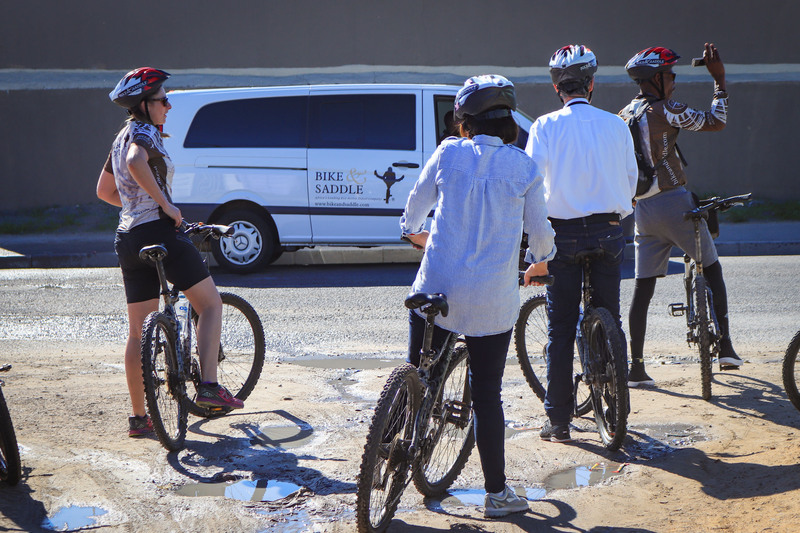 We begin our tour at the Velokhaya BMX Oval and Life Cycling Academy. 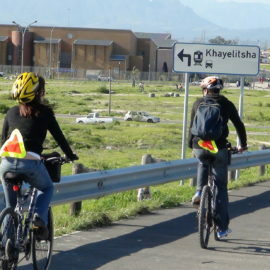 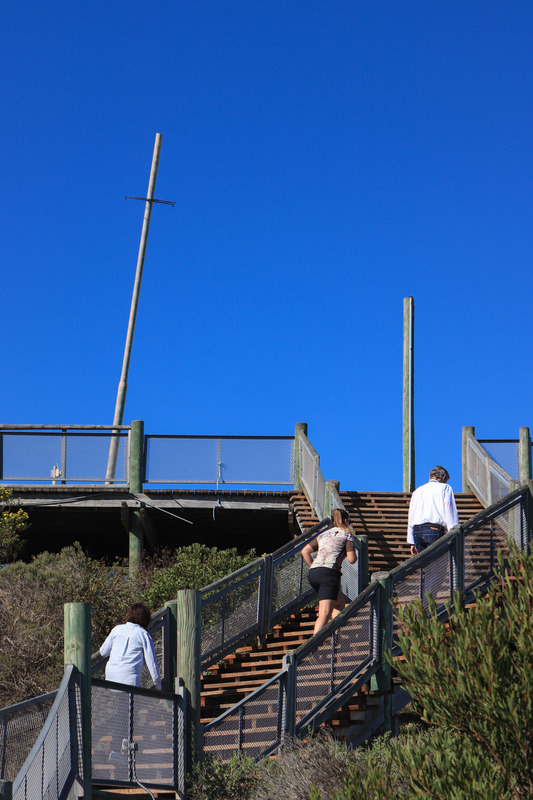 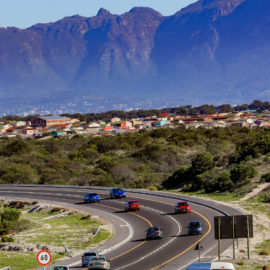 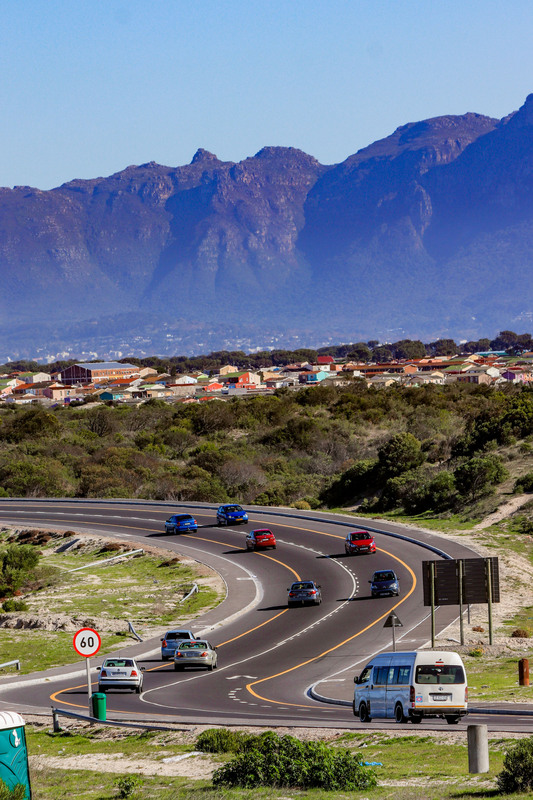 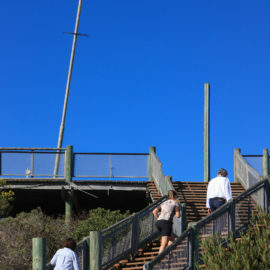 From here our next stop is Lookout Hill with panoramic views taking in False Bay, Table Mountain and its surroundings. 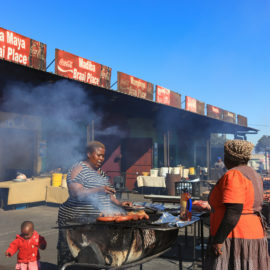 We enjoy a delicious platter of the townships local meat called Shisa nyama. 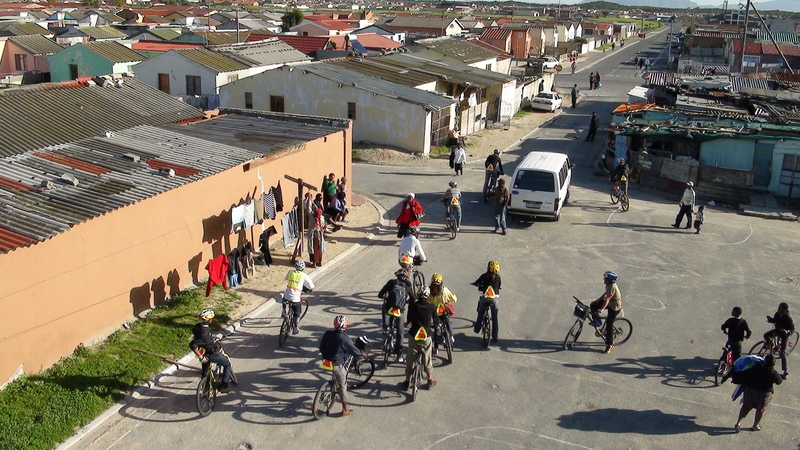 Next, we visit an informal settlement comprised of tin shack dwellings, meeting some of the families in the community. 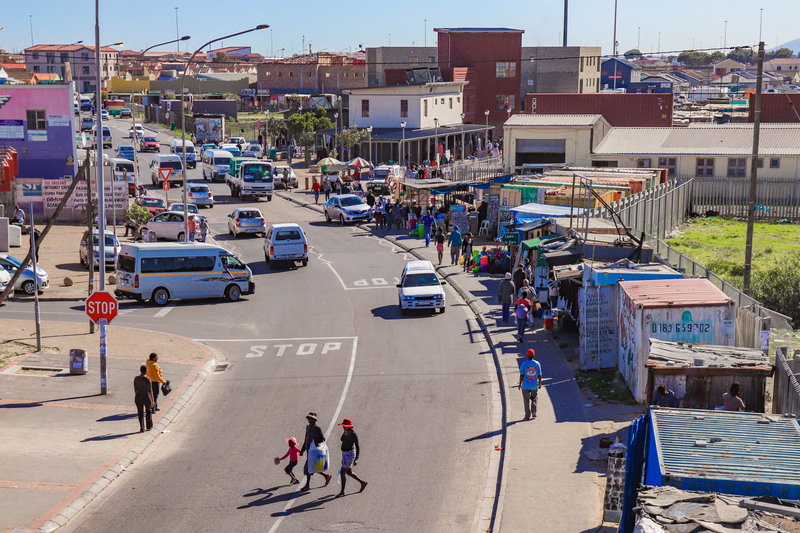 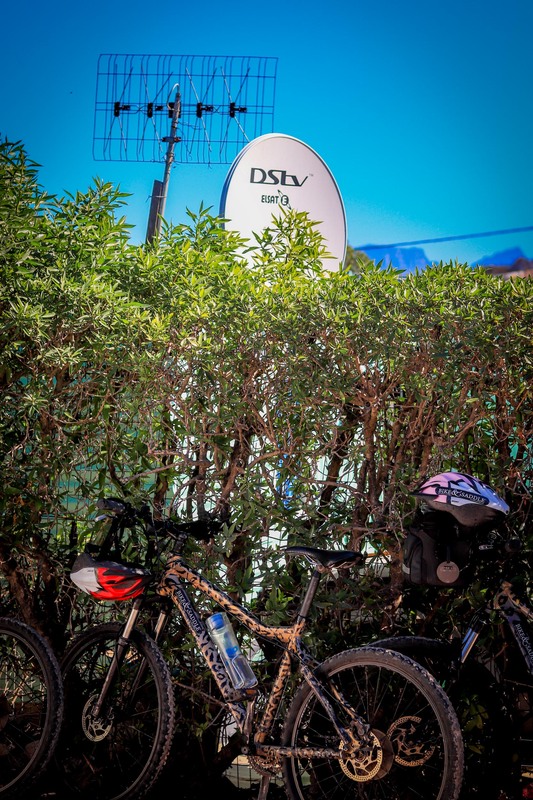 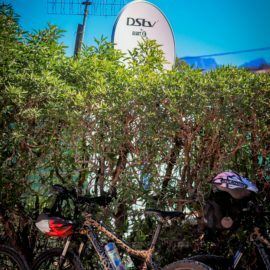 This route takes us past the train station, local shopping centre, spaza shops selling groceries, home-styled hairdressers and many more colourful sights and sounds. 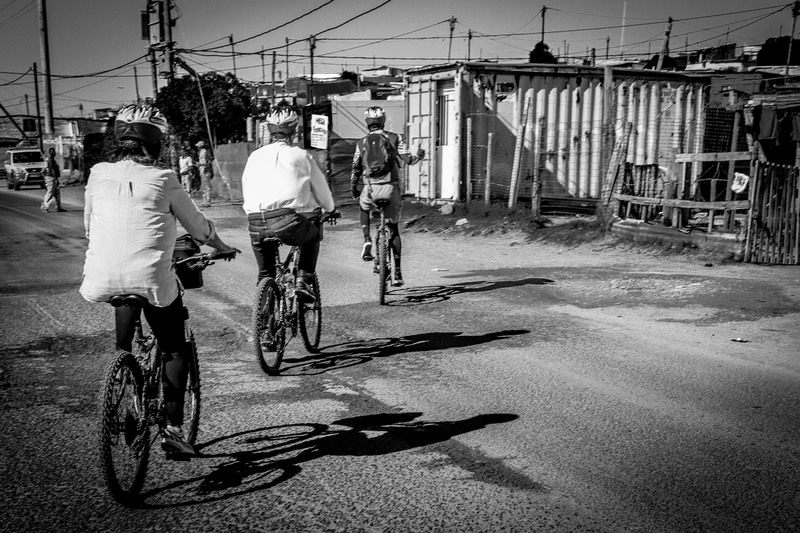 We then head back to the False bay college where we enjoy some local township lunch and refreshments. 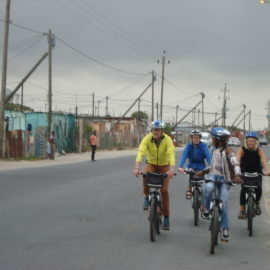 Here we end off the day and head back to Cape Town.